Anirban Lahiri returns to action after a four-week rest as the new season for 2018-19 gets underway at the Safeway Open in California this week. Lahiri will tee up at Silverado Resort and Spa North in the company of JJ Henry and Jamie Lovemark on Thursday. 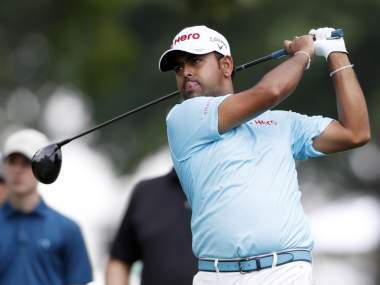 Lahiri has usually begun his season in Asia at the CIMB Classic for the last couple of years, but this time, the 31-year-old, whose last season ended after the second event on the play-off at Dell Technologies Championship, is keen to get off to a good start at Safeway Open and then look at Asia. Lahiri was 99th at the recently concluded FedExCup points standings and which included four top-10s. It was a comedown from his 51st ranking in the previous 2016-17 PGA Tour season. Lahiri admitted "It was a disappointing year. I think I played decent in the summer, had top-10s at the Travelers and Akron but in the last few events, I had three missed cuts and one average finish." 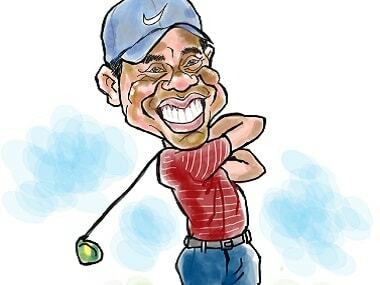 "At the end of the season, you want to play your best golf but I played my worst golf. The opposite happened last year when I got to Chicago (BMW Championship) and finished 51st on the FedExCup standings. The goal was also to win last season but I haven't got myself into contention as consistently as I would have liked." During the four-week break, Lahiri got his coach Vijay Divecha over to Florida and spent time working on his game. "I enjoyed my forced time off. I've been able to work on my fitness and with Vijay," said Lahiri, a two-time Presidents Cup International team member. 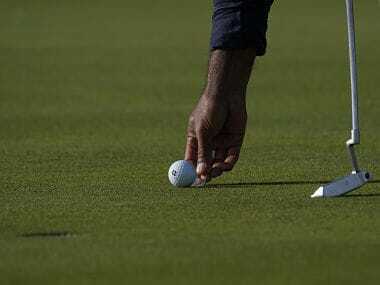 "The only difference between the times I played well and didn't play well was the short game and putting. The weeks I got in the mix was when I didn't drop a lot of shots and kept my game really tight. "In the last few months, starting with the PGA Championship, I had difficulty adjusting to the greens and different surfaces and it threw my confidence off and I didn't recover from that week. "There were too many rounds where I lost momentum. I would get to one or two-under after five or six holes but didn't have stretches where those two-under became five-under. I didn't build on those good starts. Lahiri is slated to play the CIMB and will also represent India in the World Cup of Golf with Shubhankar Sharma in Melbourne, Australia next month. Last year, Brendan Steele defeated Tony Finau by two strokes and earned his third career PGA Tour win at the Safeway Open. Steele became the first in the history of the tournament to successfully defend the title and he join Johnny Miller, who won the 1974 and 1975 Kaiser International, as the only players to successfully defend a PGA Tour title at Silverado Resort & Spa. Apart from Steele, the field this week includes Patrick Cantlay, Fred Couples, Russell Knox, Hunter Mahan, Maverick McNealy, Phil Mickelson, Ryan Moore, Joaquin Niemann, Sam Saunders, Brandt Snedeker, Peter Uihlein and the 2016 Masters champion, Danny Willett, who has taken full membership this year.